Wham Bam, Thank You Ma'am! Now that I have your attention, I wanted to share this Oly Studio Serena Drum Pendant light fixture that I finally found after scouring the web for it. 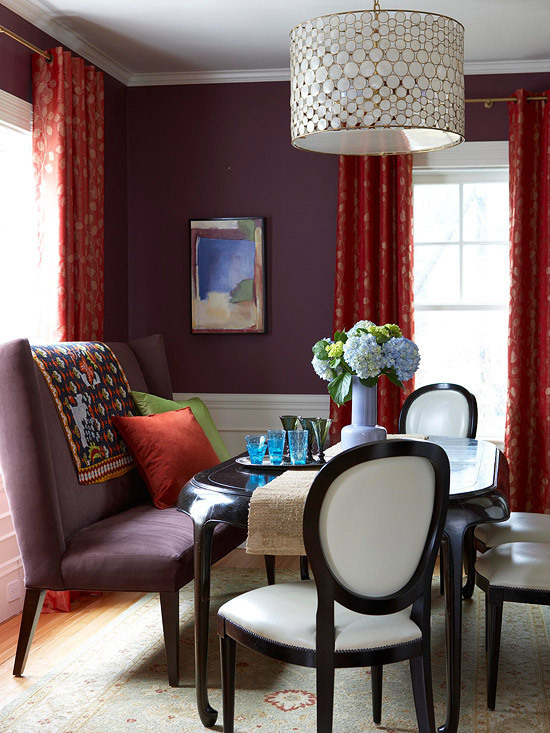 I first saw it in the bhg.com pictures below that I shared with you several weeks ago in my Autumn Hues & Classic Design Abound post. 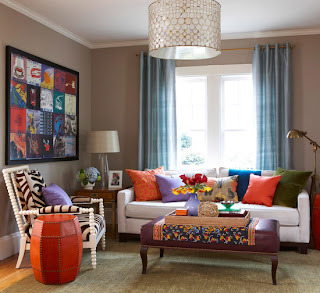 Since then, I've been on the hunt trying to find the source of the beautiful drum pendant...and I finally came across it on a website called Houzz. I love this site! 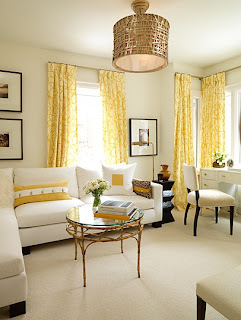 It's filled with photos of homes, products, and style ideas. And, it's very easy to navigate, which makes it a joy to visit...I could literally spend days on it. 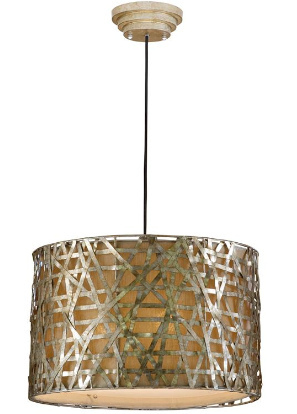 Now here is the bad news...the above light fixture is a whopping $3,025 (and I'm betting that does not include shipping...). I've never had that sort of decorating budget, and if I did I would decorate a whole house with it, not just the ceiling of one room. 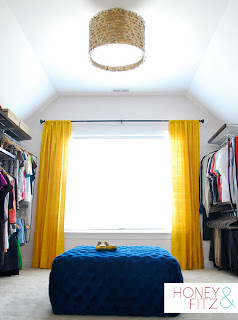 That being said, it is a lovely light fixture that can still serve as some inspiration for cheaper alternatives, right??? 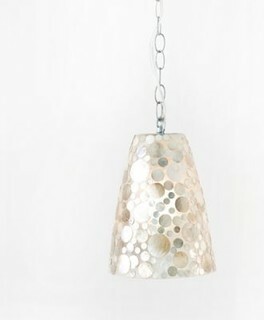 I found this Clayton Gray Home fiberglass pendant on Houzz as well, and it's a bit more affordable at $210. 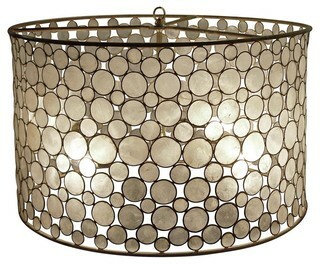 It would be a beautiful statement piece hanging over a kitchen sink or a vanity in a bathroom. Just enough shimmer to add some glam without it being over the top drama. On the hunt for cheaper alternatives still, never underestimate the power of Craig's List finds! I thought I'd share the finished product of one of the light fixtures we found on Craig's List from the local Dunes Motel (doesn't that sound like a charming place to stay?). My neighbor had been wanting a new light fixture to hang above her kitchen table....you see, we're both attempting to remove the builder-grade look from our homes. When we came home with the Craig's List light fixtures, she saw potential and said, "Hey, I'd like one of those for our house...I'll spray it bronze to give the dining area a more old-world look". So, that's what we did! So Lovely! This fixture only cost us $40 total - including the light fixture ($5), spray primer and metallic paint ($20), chain ($5), light kit ($5), and glass light cover ($5).